With Spring, warmer temperatures, and less rain, it’s time to bring Bettie back and we’re rev’ing her to 2.0. Just in time for the project, a Big Dummy was spotted in West Seattle. 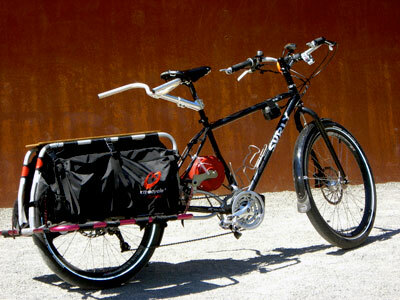 I started thinking about an updated Bettie in this post and thought our readers probably have some thoughts on building another longtail, sport-utility, cargo bike. We’re building Bettie with a Big Dummy, transferring over most of the parts and the purpose of the project is to simplify it down – make Bettie easier to use, more friendly, and significantly less whippy. How would you build up Bettie 2.0?